Larry Brown is in hot water. 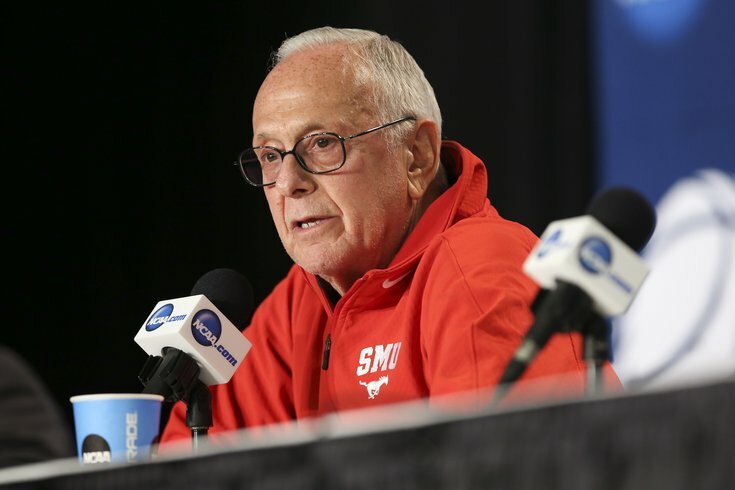 Even the most ardent Larry Brown hater is forced to admit that the 74-year-old coach has done a splendid job of turning around the SMU basketball program in a short amount of time. In the last two seasons, the Mustangs have won a combined 54 games. Southern Methodist University went before the NCAA Committee on Infractions last month for a hearing related to serious allegations against the men's basketball and golf programs, multiple sources told Yahoo Sports. SMU men's basketball coach Larry Brown is facing a "lack of coach control" charge, sources said. The SMU men's basketball program is also facing an academic misconduct charge related to coursework by former guard Keith Frazier. This certainly isn’t the first time that SMU has been forced to deal with the NCAA in school history (low blow there, I know). Former SMU assistant coach Ulric Maligi was the focus of the hearings per Forde, who also mentions the possibility of a suspension after taking what happened to Jim Boeheim and Syracuse into consideration. "Larry is denying any wrongdoing," a source told CBSSports.com.